In 1985 I won a dance contest at the Randolph Air Force Base NCO Club dancing to the song "Let's Go Crazy." Prince was 25 years old. I was 19. 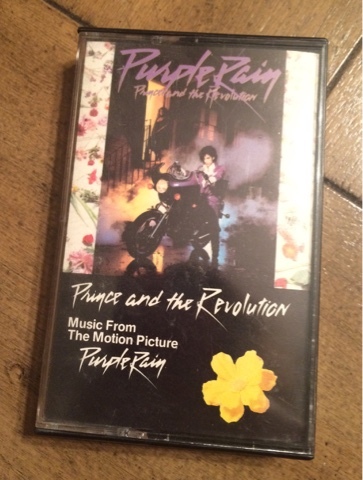 "Purple Rain" was, amazingly, Prince's 6th album. My friends and I had never witnessed a musical artist as provocatively entertaining as Prince. Madonna was fresh on the scene that year with her "Like a Virgin" album, but she had yet to push any real boundaries, and besides, Prince was altogether a horse of a different color. We were still giddy with delight over "Little Red Corvette" and the iconic hit title single from his "1999" 5th album, so when "Purple Rain" hit the airwaves we were all ready to go crazy! and get nuts! "Let's Go Crazy" was all about living in the moment. After we had partied like it was 1999, Prince reminded us that we're all gonna die, the grim reaper was gonna come knocking at our door, so we'd better live now, and never, ever let the elevator bring you down. Go Crazy. Punch a higher floor. It's almost surreal that early reports say he was found unresponsive in an elevator. I hope the after life is all he hoped and dreamed it would be. And what's it all for? Friends. Amazingly, I heard the news that Prince had died while I was sitting around the pool on a trip to see the old friends that I first heard his music with, back in the day. That was unexpectedly special. My dance partner that 80's night was a really good friend, Darryl, who went on to be a San Antonio police officer and godfather to my second child. And, true confessions, we really only won 2nd place in that contest, but that's just a boring technicality, and hardly makes for a compelling opening blog post sentence. I remember how surprised I was when the dance contest moderator tapped me on the shoulder and told us to exit the dance floor. I had been so into the music, so consumed by the magic, so transformed by the beat, that in that second I both couldn't imagine not winning and forgot I was even in a contest to begin with. That's what he did to us. Transported us to a better, otherworldly place with his genius. RIP Prince.